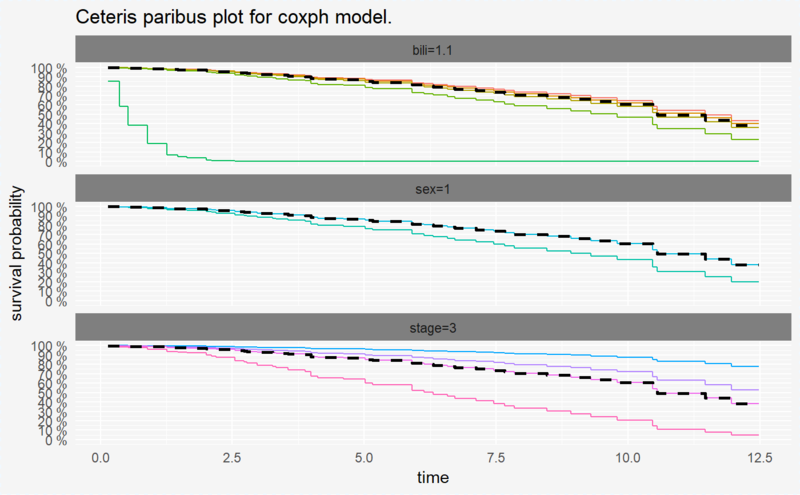 Function plot for ceteris_paribus object visualise estimated survival curve of mean probabilities in chosen time points. Black lines on each plot correspond to survival curve for our new observation specified in the ceteris_paribus function. type of scale of colors, either "discrete" or "gradient"